3. 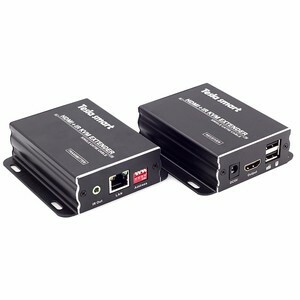 Extends 1080p HDMI signals up to 120m over a single UTP Cat5e/6 cable. 8. Up to 16 transmitters and more than 200 receivers in a single system . 2 address 12. Support cascading Ethernet Switches up to 3 layers . 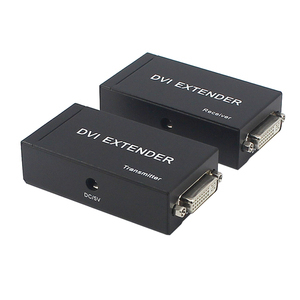 This kind of HDMI Extender by CAT-5e/6 uses two pieces of CAT-5e/6 cables to extend the HDTV display up to 30 meters for 1080p. It not only breaks the limitation of the HDMI cable transmission length,but also CAT-5e/6 has more flexibility and convenience in cable construction. 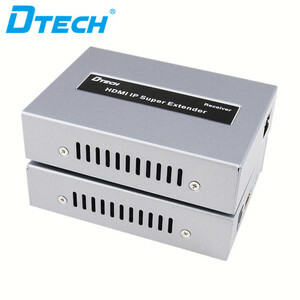 Both the sender and receiver are equipped with fixed HDMI cable that allows consumers reduce cost and time for setting. 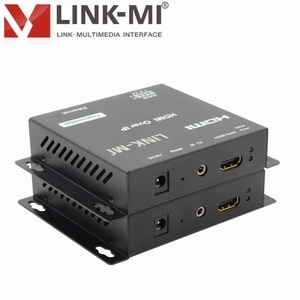 IP extenders allow an HDMI source to be connected to any Ethernet LAN allowing AV broadcasts to be set up and changed without the need to install a dedicated cabling system. This shouldn't be a problem for most people, as the majority of Cat5e cable installed in homes meets these standards. 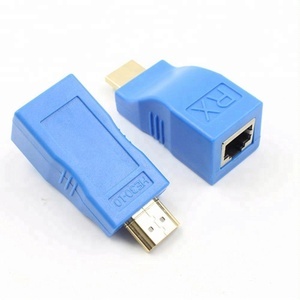 Cat5e and Cat6 cable, or Ethernet cable, is a fraction of the cost of long HDMI cable, mainly due to the different requirements of building these two different cable types. * Support 8bit per channel (24bit all channel) deep color. * Support uncompressed audio such as LPCM. * Support compressed audio such as DTS Digital, Dolby Digital. Connect two CAT-5E/6 cables to both the the output of the transmitter and input of the receiver. With a wide range, good quality, reasonable prices and stylish designs, our products are extensively used in Consumer Electronics and other industries. Our products are widely recognized and trusted by users and can meet continuously developing economic and social needs. 3.Q:How can I get some samples9 A: We are honored to offer you samples. 4.Q:How does your factory do regarding quality control9 A:Quality is priority. We always attach great importance to quality controlling from the very beginning. 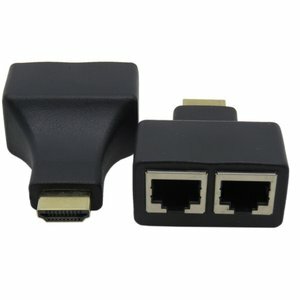 Alibaba.com offers 70 rj45 hdmi repeater products. About 80% of these are other home audio & video equipment, 4% are repeater. 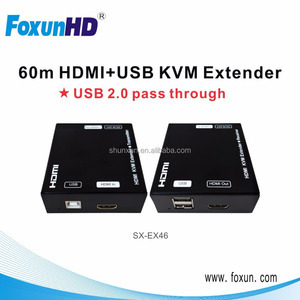 There are 70 rj45 hdmi repeater suppliers, mainly located in Asia. 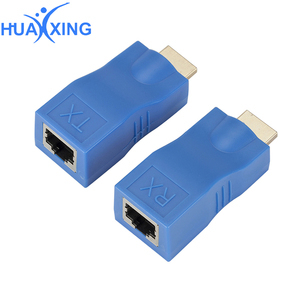 The top supplying country is China (Mainland), which supply 100% of rj45 hdmi repeater respectively. 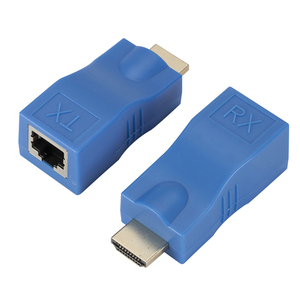 Rj45 hdmi repeater products are most popular in North America, Domestic Market, and Mid East. You can ensure product safety by selecting from certified suppliers, including 27 with ISO9001, 7 with Other, and 1 with ISO14001 certification.